PSA Group is expected to reveal its first car for India in 2019. The multinational manufacturer is likely to enter India with the Citroen brand in India. As for its first vehicle, it is expected to launch an SUV followed by other smaller offerings in a top-down approach. 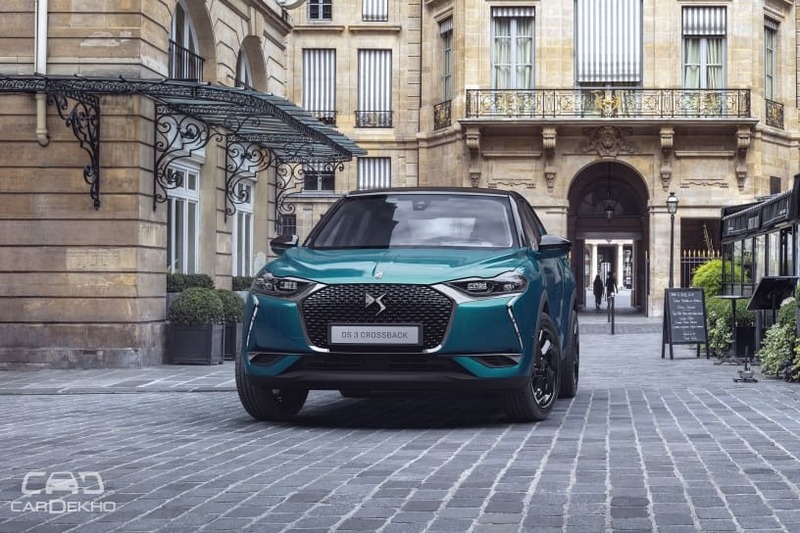 The SUV you see in the picture above — DS 3 Crossback — is the latest offering from Citroen’s premium sub-brand DS. And before you ask, we’ll tell you that this car might not come to India. However, it’s still an important product since it debuts a new platform — CMP (common modular platform) — that PSA Group will use for all of its upcoming small and compact cars. The DS 3 Crossback is over four metres long but is shorter than the Hyundai Creta. It is, however, wider than the Hyundai SUV and its wheelbase is only 32mm shorter. The same platform that underpins the DS 3 Crossback can be used to make a Vitara Brezza- or a Baleno-rival as well. The PSA Group is expected to introduce as many as 10 new models on the CMP by 2020. The DS 3 Crossback is powered by petrol and diesel engines that conforms with BSVI emission norms. The petrol engine is a 1.2-litre unit available in three outputs — 100PS, 130PS and 155PS. The diesel engine displaces 1.5-litres by volume and is available in two states of tune — 100PS and 130PS. Both engines are suitable for small cars in India given the existing tax break for cars under four metres in length with petrol engines under 1.2 litres or diesel engines under 1.5 litres. The CMP is also ready for electrification. In fact, PSA has already announced four electrified models on the CMP by 2021, with the first one set to launch in China and Europe as early as 2019. The PSA Group is in the process of platform consolidation, like most other carmakers. Going forward, it will have two modular platforms for all its cars — CMP and EMP2 (for bigger cars). In its ‘Push to Pass’ business plan, the PSA Group has announced the introduction of 17 products in the India-Pacific region. We expect the carmaker to start proceedings in India with an existing but relatively new SUV based on the EMP2 and follow it up with smaller cars based on the CMP. Speaking of existing EMP2-based SUVs, the Citroen C5 Aircross appears to be an attractive option. If launched in India, It would rival the likes of the Honda CR-V and the Volkswagen Tiguan.